In Maine’s 2nd District, independent Will Hoar is one of three challengers seeking to unseat incumbent Republican U.S. Rep. Bruce Poliquin. 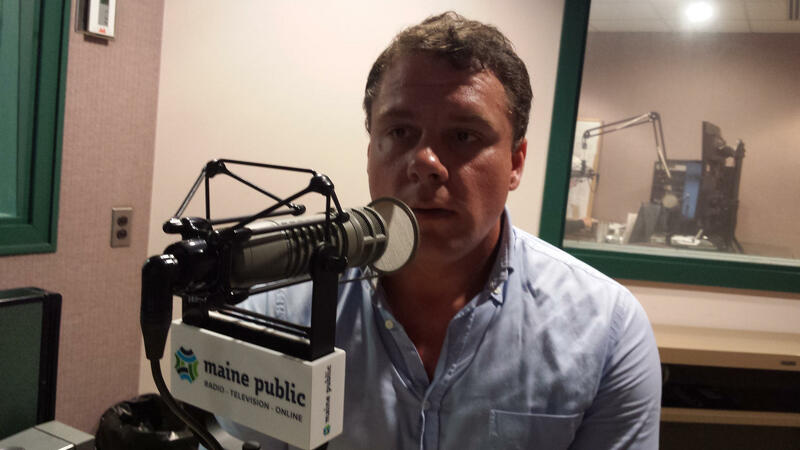 Maine Calling Host Jen Rooks asked Hoar what he believes is the single biggest issue on the minds of Maine people. This is an excerpt of “Maine Calling” from Thursday, Oct. 4, 2018. To listen to Will Hoar’s full appearance, click here. Hoar: I think the two biggest issues, I’m putting them into one, is the opioid epidemic and health care. As the oldest population we have a number of people that we’re going to need to be taking care of and the opioid epidemic is currently killing at least one person a day, and that is unexcusable. So it would involve working with both sides of the aisle. And the Affordable Care Act as it is is not enough. It was a great start. But we we need to do more to help the people of Maine. Rooks: Do you believe that access to affordable health care needs to be a national priority and, if so, what can Congress do to ensure it? What should Congress do? Hoar: It most certainly is a national priority. We are founded on a principle of, you know, American citizenship comes with the promise of life, liberty and the pursuit of happiness. And without being able to have access to health care or afford health care you can’t enjoy any of those. Rooks: What should Congress do to ensure it? Hoar: Well they can start by working together. Rooks: What do you believe needs to be done about the partisan divide in our nation? Hoar: Well, I seem to be going against the trend, which seems to be increasing tribalism and increasingly harsh partisanship. But we need to find a way to work together. There is no winning if it’s this constant back and forth between two opposing ideologies. It’s not governance when you’re spending all your time trying to undo what has been done by the opposing party. So it’s coming together and remembering that you were elected to find solutions for your constituents, the people that you’re representing, and legislation should be passed. Rooks: If you’re elected, what committee would you like to serve on and why? Hoar: I’d like to serve on Ways and Means and-or Agriculture because those directly relate to Maine and Mainers and our economy. And I want to be able to have influence in the policies and legislation that are going to make the lives of Mainers in the 2nd Congressional District better.